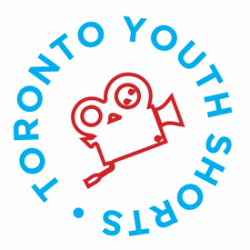 The T24 Project is Toronto Youth Shorts' unique take on the popular time-based film challenge format. How is the T24 Project different from other challenges? Typically with all other challenges of this nature, participants are given a different assortment of props, locations, and odd pieces of dialogue to shoehorn into a short film. With the T24 Project, all participants receive the same criteria and package. No one group will have any particular advantage over others based on the challenge itself. The package: an essay-style question that tasks the participants to create a short film based on a theme. Themes tend to pertain to cinematic aesthetics mixed with local history and the Toronto experience. The T24 Project will challenge your storytelling capabilities in a visual medium. Filmmakers will not only need to come up with an entertaining narrative but also think critically to answer the question. FILMMAKERS OF ALL LEVELS ARE ENCOURAGED TO APPLY! Whether you're a student who studies film or someone just experimenting with the medium, this is the perfect competition for you. This is not about creating a perfect technical masterpiece but rather a chance to experience the pressures of filmmaking and push yourselves to see what you can accomplish with the medium. It's a chance to explore the nooks and crannies of the city while producing a provocative narrative of your surroundings, making a statement on current affairs. All finalists' work will be screened after the successful completion of the challenge. A jury will select the best short as the winner of the Visual Thesis Award. 1. The T24 Project is open to filmmakers aged 18-30 in the Greater Toronto and Southern Ontario Area (participants must be physically present in Toronto for the kickoff and drop off). 2. Your team can have up to 4 official members, which can be any combination of director, producer, writer, camera operator, editor or whatever crew you need. All 4 members must be aged 18-30 inclusive. Your registration fee covers the entry of your 4 official team members into the challenge and their admission to the screening. 3. The team captain must be in the role of director for the film. 4. The lead actors or prominent subjects of your film must be between the ages of 18-30 inclusive. Supporting and background performers can be of any age. Actors do not count towards team membership count. 5. Teams are required to make a short film that answers the challenge question within the designated 24 hour period. Yes, that means even if you're a minute late, you're disqualified from the award. 1. You get to learn how you work under immense pressure and see what you’re capable of. 2. It’s really inexpensive at just $35 for a team. 3. Easy portfolio piece made with little time commitment for any of your future media pursuits - 24 hours later and you have a finished short film you can show off. 4. It’s a great starting point for those with little to no experience in filmmaking. We’ve had people make their first film ever through the T24 Project. For students, especially first years, it will be like nothing you've done for your class projects. A great break from your usual exercises while continue to hone your skills. 5. It’s extremely fun and a great way to stretch your creative muscles. The T24 Project will return in the fall of 2016.